These are dark days for the American delicatessen, or so goes the conventional wisdom. In truth, they've never been particularly good in Chicago in the first place, where even a Brendan Sodikoff "deli" can't thrive, as the recent downsizing of Dillman's shows. Remember Steve's Deli in the same location? I thought not. 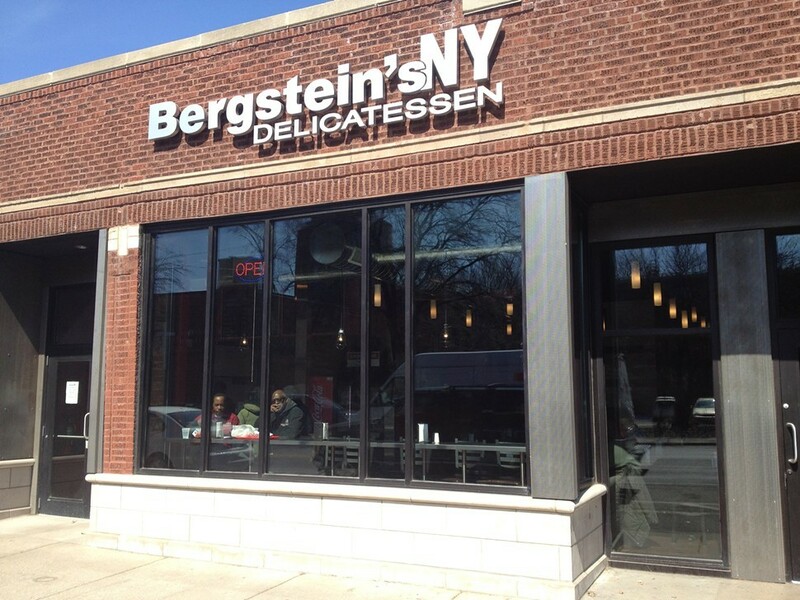 You might consider the opening of Bergstein's NY Deli in Hyde Park evidence to the contrary. An offshoot of a well-regarded Chicago Heights deli, it sits in a relatively low-foot-trafficked stretch of 55th, and opened quietly in January amid the ongoing Hyde Park restaurant boom. As for it being evidence that there's hope for delis, we'll have to disagree. 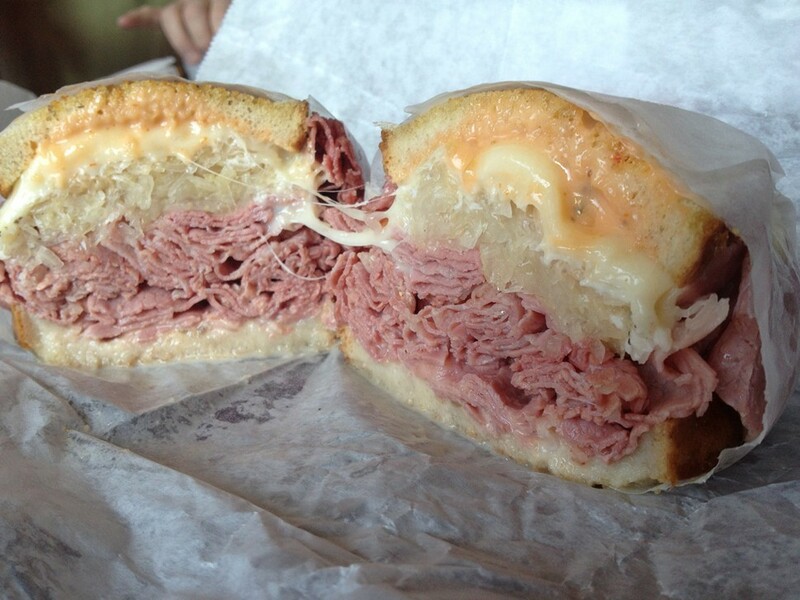 Take something as elemental as the Reuben. A respectably sized stack of Sy Ginsburg corned beef is piled between two cottony slices of rye bread that can barely stand up to the toaster let alone being thoroughly soaked in Thousand Island dressing. It's a sloppy excuse for a sandwich that disintegrates on contact. 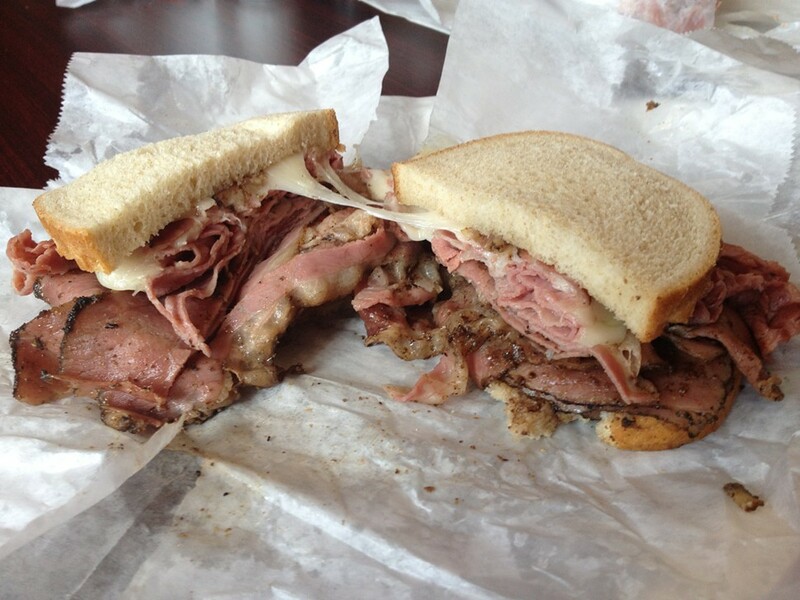 You'd be better off with something a little less ambitious, like the Bensonhurst: pastrami and corned beef united by some tenacious melted Swiss. Either way, neither justifies an $11.49 price tag ($7.49 for a four ounce "Jr."). The other usual deli suspects are present, like house-made deli salads, whitefish and lox by the pound, a handful of tossed green salads, and bite-size mini latkes—because why should you be treated like an adult? 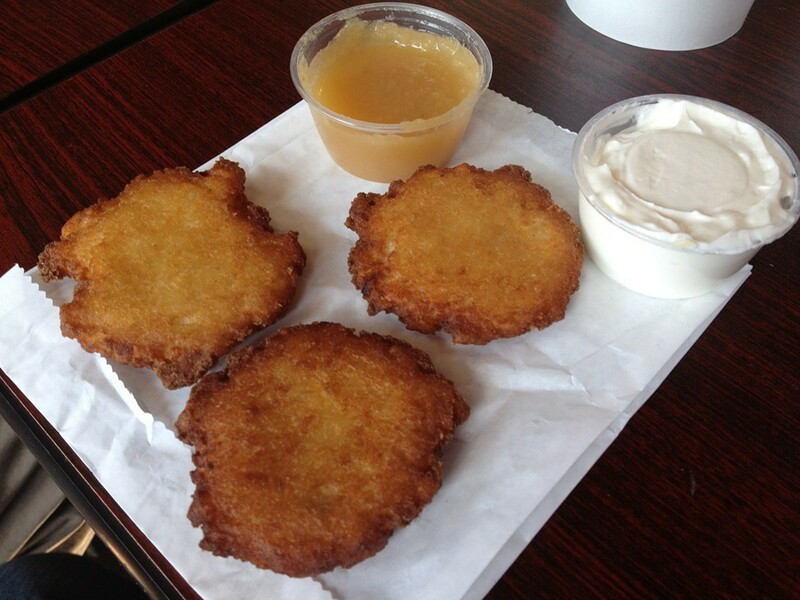 The kreplach, on the other hand, are rather special. Just one of these plump, meaty specimens dominated a cup of chicken soup that was infused with a supernatural level of umami. It's too good for the matzoh balls, though, which typify a heretofore unknown category. Not a floater. Not a sinker. Kind of a stinker. Wet Jewish Wonder Bread. The meat processor's factory outlet makes a Reuben that won't rob you blind.